A rare opportunity to pick up an 80s Judge Dredd cover! 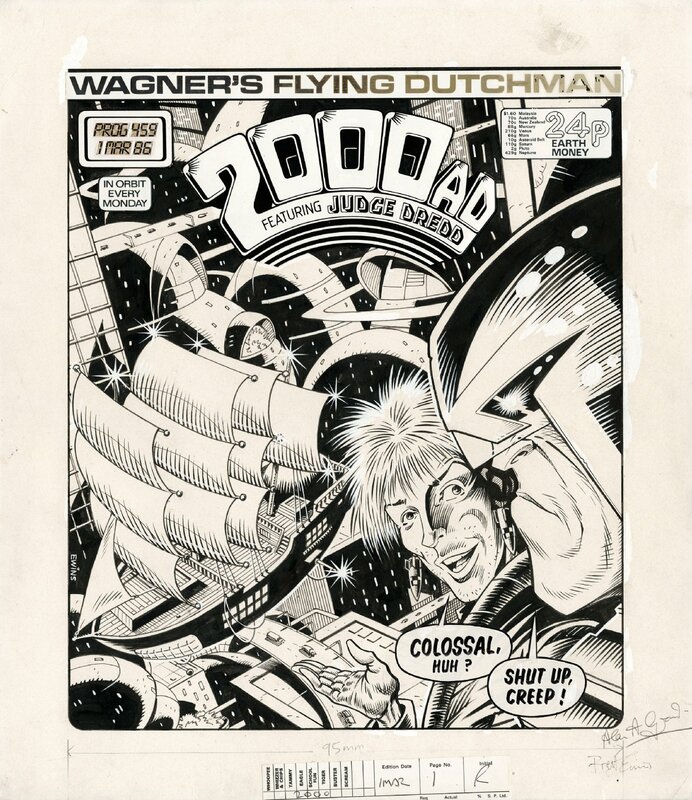 Cover art for 2000ad Prog 459, Cover Date - 1st March 1986 featuring JUDGE DREDD by fan favourite Brett Ewins! 'The Last Voyage of the Flying Dutman!' . Signed lower right by Brett Ewins and write Alan Grant. Active Art is 31 x38 cm. Art in very good condirtion, all original Logos and lettering in place.